In Florida, there are more than 540,000 people living with Alzheimer’s disease (AD), the most recognized form of dementia. The number of people in Florida who are age 65 and older with AD is expected to increase 41.2 percent by 2025 to a projected 720,000, highlighting the urgency of finding medical and treatment breakthroughs. Research fellows from the Florida Atlantic University Brain Institute – one of the university’s four research pillars – have received a total of $1,137,227 from the Florida Department of Health’s Ed and Ethel Moore Alzheimer’s Disease Research Program, which supports research leading to the prevention and possible cure for AD as well as better prevention, diagnosis, and treatment. Mónica Rosselli, Ph.D., assistant chair and a psychology professor in FAU’s Charles E. Schmidt College of Science, for her project titled, “Neuroimaging and Sensitive Novel Cognitive Measures in Detection of Early Alzheimer’s Disease in Bilingual and Monolingual Hispanic Americans.” Rosselli studies brain organization of behavior and cognitive functioning. Tests in her laboratory are thought to tap into various cognitive functions such as verbal ability, visuospatial skills, and memory, and also may be sensitive to brain injury. Henriette van Praag, Ph.D., an associate professor of biomedical science in FAU’s Schmidt College of Medicine, for her project titled, “The Role of Exercise-induced Systemic Factors in Alzheimer’s Disease.” The van Praag laboratory aims to understand the beneficial effects of exercise on brain function and behavior across the lifespan. A recent arrival from the National Institute on Aging, Van Praag and her laboratory members focus on exercise-induced elaboration and function of new neurons in a brain region called the hippocampus, a brain area that is essential for learning and memory. Ruth M. Tappen, Ed.D., a professor and the Christine E. Lynn Eminent Scholar in FAU’s Christine E. Lynn College of Nursing, for her project titled, “Fit2Drive: Development and Testing of a Driver Risk Predictor for Individuals with AD.” Tappen has been the principal investigator on numerous innovative studies related to the management of AD and related memory disorders. She also was the founder and director of FAU’s Louis and Anne Green Memory and Wellness Center from 2000 to 2006. Behnaz Ghoraani, Ph.D., an assistant professor in the Department of Computer and Electrical Engineering and Computer Science in FAU’s College of Engineering and Computers Science, and an I-SENSE (Institute for Sensing and Embedded Network Systems) Fellow, one of the university’s four research pillars, for her project titled “Technology-based Systems to Measure Dual-task (motor-cognitive) Performance as a Biomarker for Early Detection of Alzheimer’s Disease.” Ghoraani’s research is focused on understanding human physiology from an engineering perspective, developing algorithms that can benefit global health care, and training the next generation of scientists and engineers to develop and apply engineering principals in biomedicine. Jianning Wei, Ph.D., an associate professor of biomedical science in FAU’s Schmidt College of Medicine, for her project titled, “Effect of Neuronal Activity on Synaptopathy in Alzheimer’s Disease Using a Novel Multi-electrode Microfluidic Platform.” Wei’s research is focused on understanding the molecular pathogenesis of neurodegenerative diseases using a combination of molecular, genetic, biochemical and imaging approaches. Inaugurated in 2016 on the John D. MacArthur Campus in Jupiter, Fla., the FAU Brain Institute supports research, education and community outreach among more than 100 faculty level researchers at FAU and its affiliate research centers. 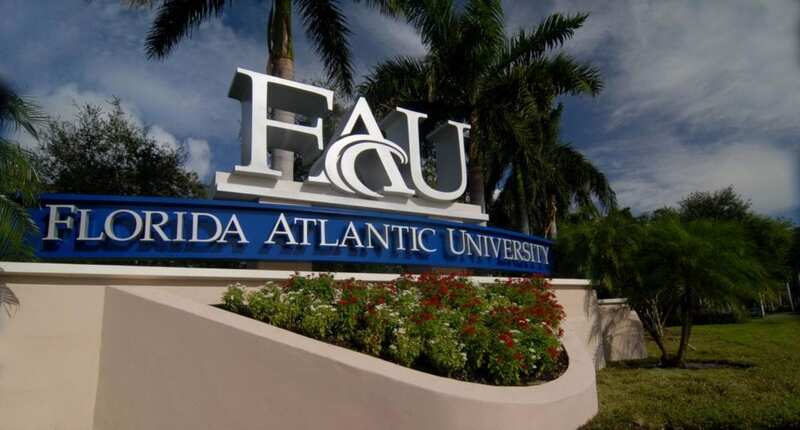 One of FAU’s four pillars that guide the University’s goals and strategic actions, the Institute seeks to unlock the secrets of brain development, function and plasticity and how the mechanisms uncovered can be compromised to drive devastating brain disorders. From the study of neuronal development and signaling to investigations of brain diseases including addiction, autism, Parkinson’s and Alzheimer’s disease, researchers from FAU’s Brain Institute seek to generate knowledge that benefits society. For more information about the Institute and its members, visit http://www.ibrain.fau.edu.